[PlayerUnknown's Battlegrounds / PUBG] What is PUBG? 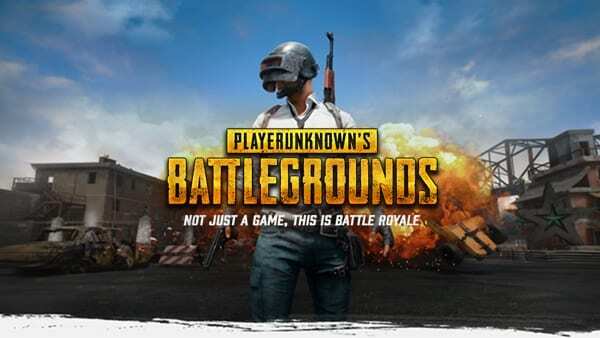 HomePlayerUnknown's Battlegrounds / PUBGWhat is PUBG? PlayerUnknown's Battlegrounds / PUBG - What is PUBG? This article contains information for players new to PlayerUnknown's Battlegrounds (PUBG). It also explains mechanics of the game. PUBG is short for PlayerUnknown’s Battlegrounds, an online survival-shooter game. Like Battle Royale or Hunger Games, players must kill each other to win. Each arena has a maximum of 100 players, depending on the map and arena. Players need to gather weapons and items to defeat their opponents and ultimately survive. The last player standing is declared the winner. PUBG also reflects the King of the Hill mechanic in which players must defeat all players in order to rise as the victor. At the start of the game, players throw themselves out of the aircraft. While descending from the aircraft, each player has a parachute. Once the player reaches a certain height, players must open the parachute to soften the fall. As the parachute softens the fall, players can control where they fall by steering the parachute. Once the players land, they can loot buildings and alleyways for items. Scavenging for items is the only way to equip and arm oneself against other players. Players can dig around and find certain items such as weapons and clothes. Players should not stay in one place. Staying in one place or “camping” makes one easily detectable. The playing field gradually shrinks throughout the game. Press “tab” to bring up the map and avoid the blue line of death. Gathering items and finding vantage points to exploit becomes increasingly important as the game progresses. Vehicles can be used to boost mobility or even as weapons themselves. Because there are roughly 100 opponents, players will eventually confront one another on the battlefield. Whether via range or melee, players must defeat the enemy in order to survive. If the player is the last one standing, the game declares them as the victor. If the player is defeated, the game will flash the number of players remaining and the victim number of the player. Since PlayerUnknown’s Battlegrounds (PUBG) may have big requirements, players should check their PCs before buying the game on steam. To know what the minimum PC specs are, click here. Will it run on Laptop?